Here are some of the projects that we are working on at the moment. ScaleFinishes.com has some of the best paints out there, and I while I was taking a stab at the PlayStaion 3 Gran Turismo 5 game, I won a new Dodge Challenger R/T as a prize after a race. 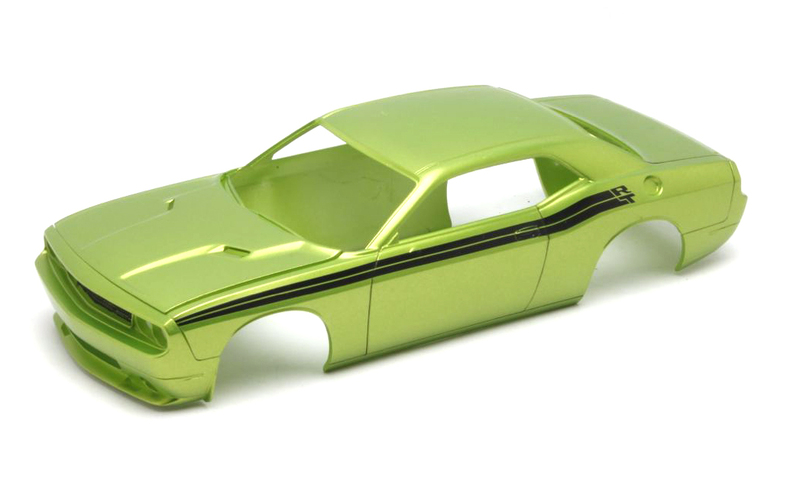 Well, that metallic lime green paint and black stripes looked killer, and I wanted to build a model of it, of course. I tracked down Jameston at ScaleFinishes.com and he sent over some of the Dodge GCE Green with Envy paint in the 2oz bottle. 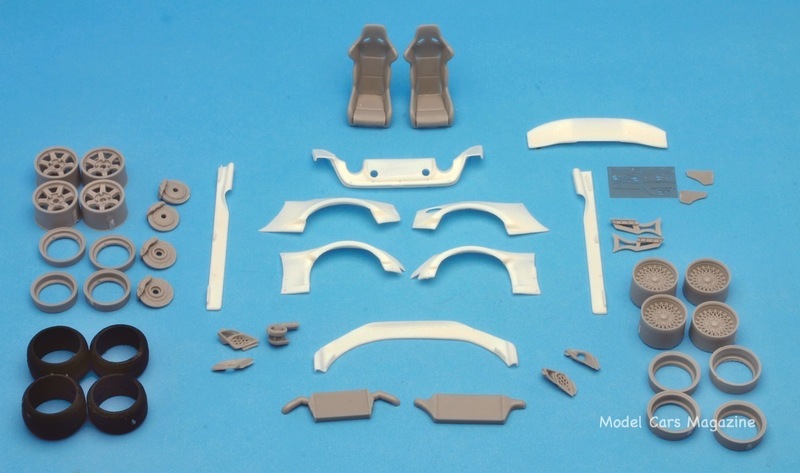 I worked on the Revell Dodge Challenger kit, the new one, and laid down a quick coat of Tamiya white primer, then a couple of coats of the Dodge GCE Green with Envy paint, and I was amazed! I showed this to the guys at our local club, and they too loved the color. I liked the ScaleFinishes.com Dodge Green with Envy color so much, I pulled out my favorite car kit of all time, the Revell ’69 Camaro, and laid down a couple of coats of the Lime Green. 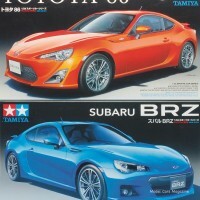 The wheels are from Hobby Design, and I have since painted them a gunmetal color. More photos soon, as the project progresses. And yet, again, I had to use the ScaleFinishes.com Green with Envy on the Jimmy Flintstone Dodge Challenger Funny Car. After a quick clean up, I sprayed a couple of coats of Tamiya Grey Primer, and then a few coats of the green. 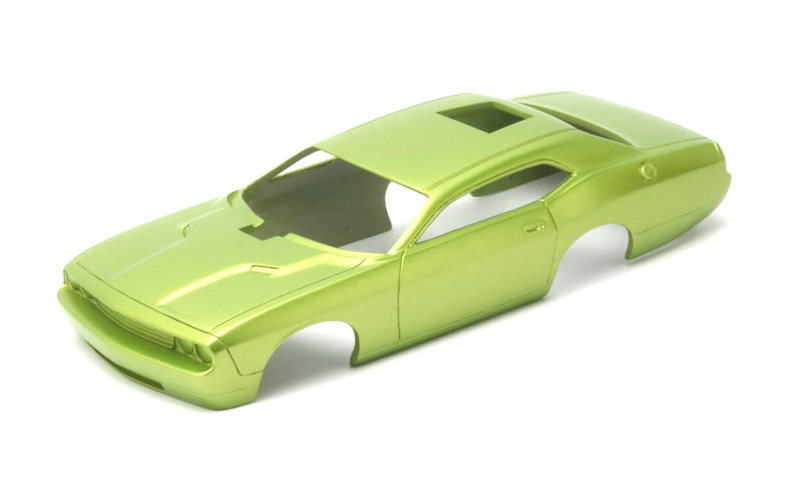 I will be laying down some of the left over decals from the Mike’s Scale Speed Shop Dodge Challenger/Charger decal set.